﻿ Lead Generation Facebook Ads: Combining Your Email & Social Strategies » Red Mango Marketing! Email and social media marketing have become intrinsic to running a successful business today. Both platforms come with many opportunities and benefits for a small business. With email and social media, a small business can extend its reach and tap into a large potential audience. It supports interactions and advances communication between businesses and customers. Combining the two, email and social media doubles the benefits and multiplies the chances for a business to expand and succeed. Facebook continues to be one of the busiest and most vibrant platforms for businesses and customers alike. It brings the two together, creating a space that facilitates one-to-one interaction between them. Today’s customers are more likely to search for a business on Facebook and other social media platforms than hunt down a physical store near them. While social media is a great place for customers to look for different businesses that offer what they are looking for and see what others have to say about a brand, it’s equally great for businesses. If you’re a small business, you already understand how important it is to be able to communicate with your customers. With social media and email working together, you can take this communication to the next level, and present your brand’s story. Create social ads that link back to your website, either the homepage or a specific landing page. Do the same in your newsletter too. Use your social media to tell people to sign up for your newsletter and email list. You can add a relevant image to the post and use the same post on different social media accounts. For even better results, include a lead form in your post. Ask your social media followers to share your emails within their networks, share your social media posts and encourage them to bring in their contacts. This way you can extend the reach of your next email with social share. Include clickable buttons to your social media profiles in every newsletter or email you send out. Invite your newsletter and email subscribers to follow you on social media to get instant updates and information from you. Social media is all about quick and instant updates. Alert your social media followers about an upcoming email or newsletter, and maybe add a preview to create a sense of anticipation. You can add snippets of your social media activity to your emails and add snippets from your newsletter on social media. When you create your monthly marketing content calendar, align your social media activities with your email marketing ones so there is consistency, while keeping content on each content platform unique. The goal here is simple. Combining your email and social strategies ensures maximum attention for both. Compelling your social media followers and email subscribers to sign up for both creates a better connection between the brand and the customers. That brings us to Facebook lead ads, one of the best ways for marketers to combine their social media and email strategy. This allows you to generate more contacts with whom you can share all the great content you’ve been creating. What are lead generation Facebook ads? We have already established the potential of Facebook and that lead generation ads are the tool which allow us to tap into that channel. Facebook ads for lead generation are the best way to get people to sign up for your newsletter, claim a bonus in exchange for contact information, or share personal information with you in exchange for something of value. Say, for example, you create a Facebook lead form that promises a 50% discount on your merchandise, in exchange for a potential customer’s email address. Such as, “Sign up today to get 50% off.” Doing so, you not only get more organic contacts to your customer database, but also, hopefully, you can woo a potential customer to convert them into a paying one. Facebook lead generation campaigns are ads that attract potential leads with the aim of converting them into customers, by getting their contact information to initiate personalized communication. Each one of us gathers information differently. While some of us read and absorb; others watch and imbibe; while others still might listen and retain. Why would we market to everyone in the same way? Facebook Ads for lead generation offer a unique and simple way to capture leads and harness them for your business’s success. Once leads are automatically added as contacts, you can begin engaging with them to show them the value in your offer. However, the tricky part is knowing the best type of Facebook Lead Ad to get your message across to potential customers. Will a video explain your products better than an image? Should you showcase your products on the channel, or direct potential leads to your website? Different ad types have different significance. Let’s take a look at the many options you have, and the value of each ad format. Ready to start using social to get more leads? Start creating your ads. According to Social Media Today, nearly 8 billion video views are generated by Facebook each day. This, in itself, is the significance of using a video as your Facebook Lead Ads. An interesting video that is short and crisp gives a peek into the many wonderful things your business has to offer. Cliche but true: a picture speaks a thousand words. A powerful image is all that you may need to attract leads and get them interested. Image-based Facebook Lead Ads work exceptionally well for nonprofits or businesses with a cause. If you offer a single but compelling product, or if one of your products stands out the most, you may want to showcase that to attract attention. For example, if you sell DIY tools but your All-In-One Multi-Purpose Tool is a star seller, use that to interest people. If one of your products is unique and a “must have” – emphasize that in your campaign. Sometimes it’s hard to pick one, and a collection of delightful products may be more interesting to showcase. For example, if you own an apparel store, you may want to showcase different categories using a carousel in your ad campaign or specifically showcase products for men, women, or children to pique the interest of one segment at a time. You can dive right into attracting qualified leads with hard-to-miss offers and promotions. Creating a sense of urgency, or just offering amazing deals in your ad campaign, can be an effective tool for generating leads. Showcase the benefits your prospects could receive in exchange for their contact information. The ad copy in your Facebook Lead Form could also ask your target audience to sign up for your newsletter, for continued offers, or for more information. Which is the right kind of lead generation Facebook ads for your business? Sure there are different types of Facebook Lead Ads, and yes each is significant and useful, but which is the right kind for your business? Just like each business and brand has a unique voice, so too do audiences and individuals. You must know your target audience and how they perceive your goods or services to be able to choose the right type of Facebook Lead Ads their way. What do you do? Try multiple approaches and see what clicks with your audience. It also keeps things fresh and dynamic. You know what’s best, and unique, for your business, so stick with it. Get to know your potential leads, reach them in a meaningful way, and offer something they can’t resist. Combining your email and social strategies allows you to reach an even larger audience than ever before, increase brand awareness, convert more leads into customers, generate more sales, and create a dynamic brand identity across all channels. Consistently create unique content across email and social channels. Let your audience see what your brand is capable of and how you’re truly unique. 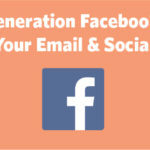 The post Lead Generation Facebook Ads: Combining Your Email & Social Strategies appeared first on Constant Contact Blogs. This entry was posted on Friday, March 29th, 2019 at 4:04 pm	and is filed under Email Marketing, News & Updates. You can follow any responses to this entry through the RSS 2.0 feed. Both comments and pings are currently closed.